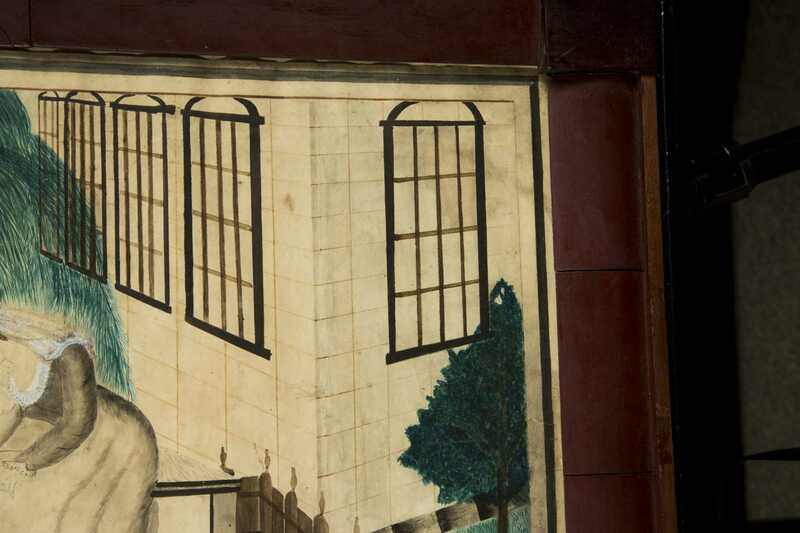 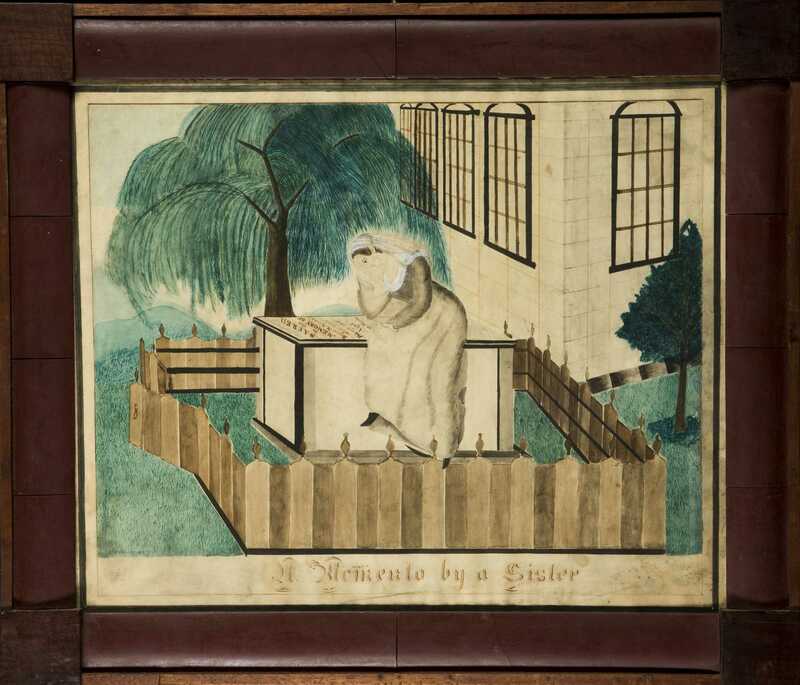 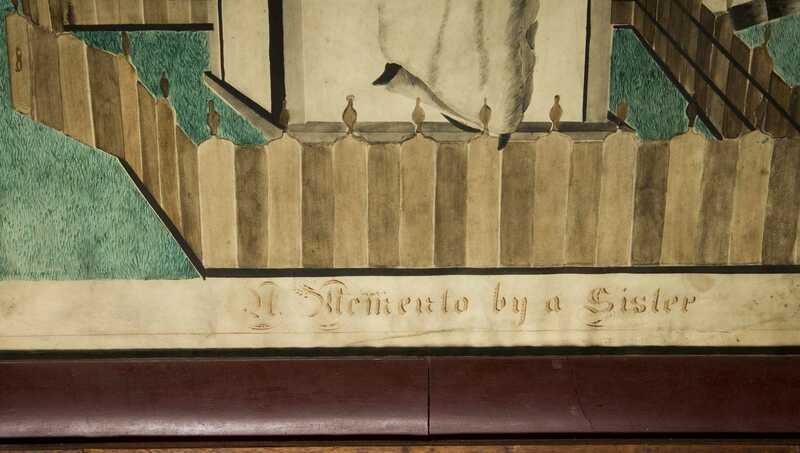 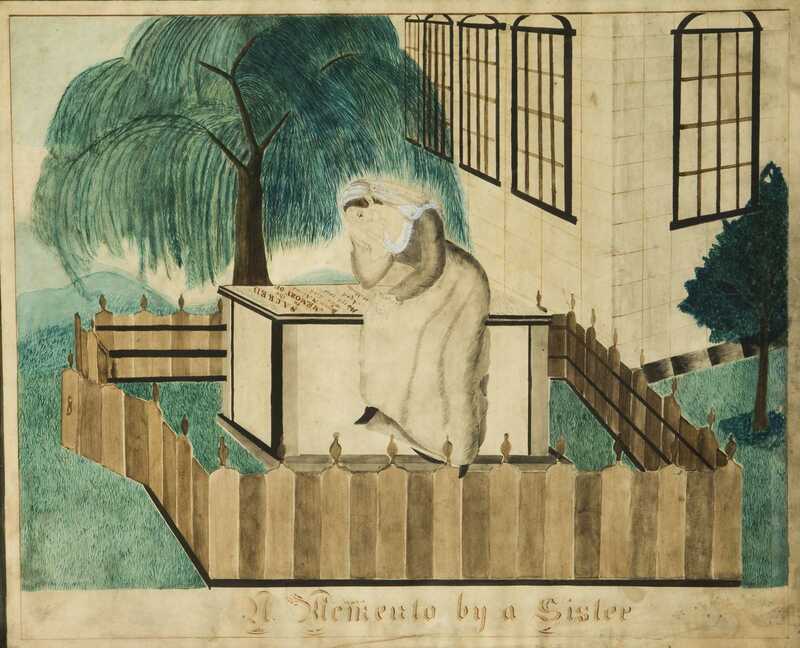 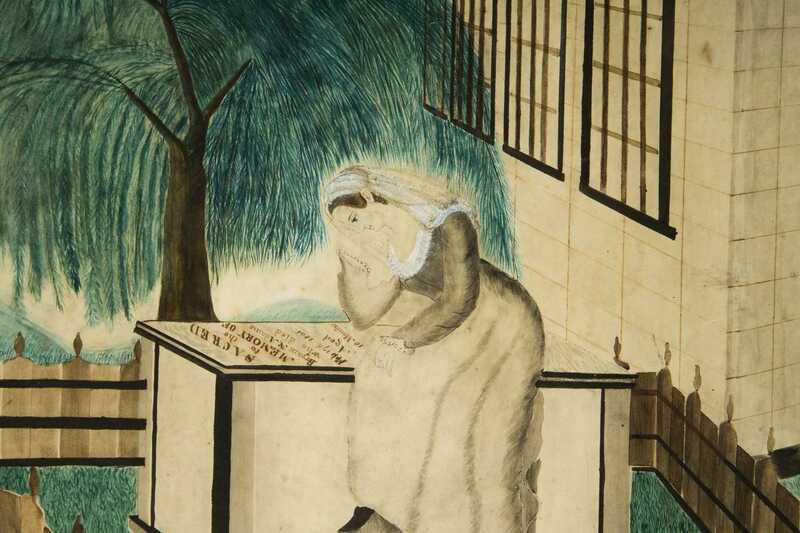 American 1835 Watercolor Primitive Memorial, Depicting a young woman seated on the grave of her brother, "Bryant N. Adams died Feb 17 1835 at age 18 mos. 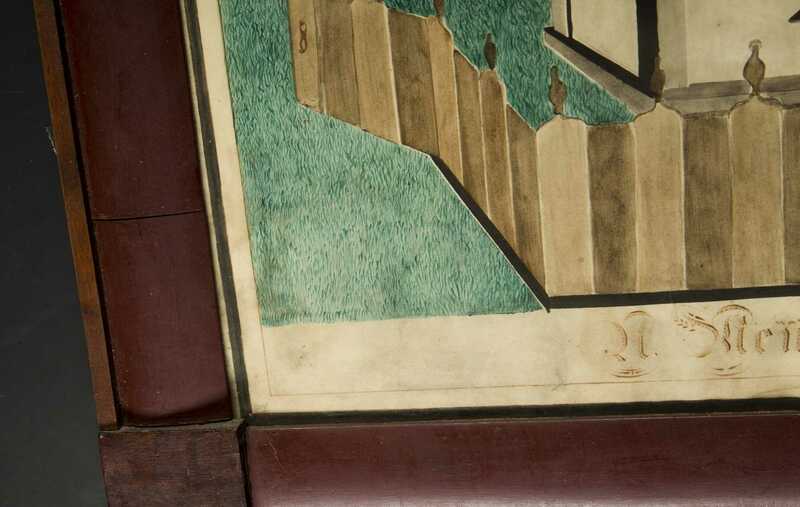 ", 14 3/4" x 18" sight, set in the original empire frame in old finish, light staining overall. 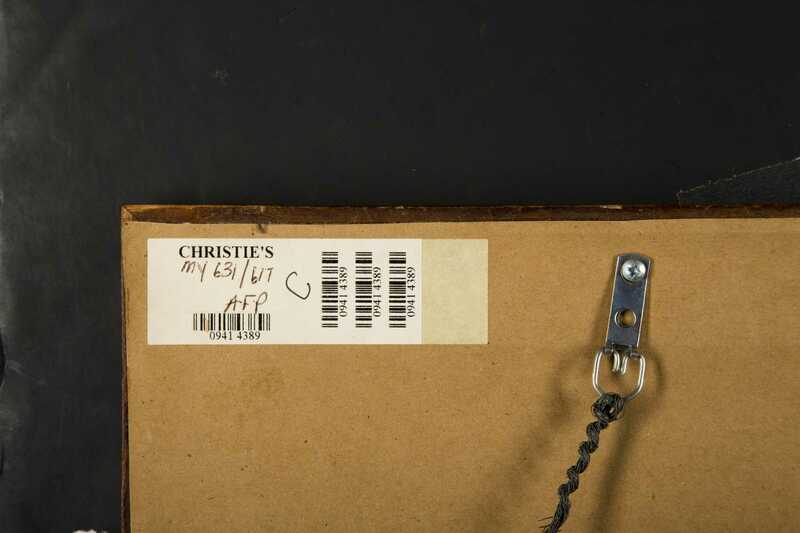 Provenance: "Christies" label on reverse "MY/631/617".